CCTV (Closed Circuit TV) System comprises of a number of cameras connected to a viewing device (monitor) and a recording device (DVR). CCTV cameras of different coverage ranges, resolution, and for day-night vision are available.We are the leading manufacturer, supplier, retailer, wholesaler and trader of CCTV Camera. Provided range is known for high picture quality. We are direct supplier of security cameras (CCTV, 720p and 1080p HD CCTV, and network IP), video surveillance systems, and CCTV equipment (Closed Circuit Television). We supply video surveillance systems for home, business and government. We sell to end users, resellers, and installers. We started our company in 2006 specializing in CCTV camera systems. As technology advanced, we expanded our product offering to network IP cameras and HD security camera systems that use AHD (analog high definition) and HD-SDI cameras. 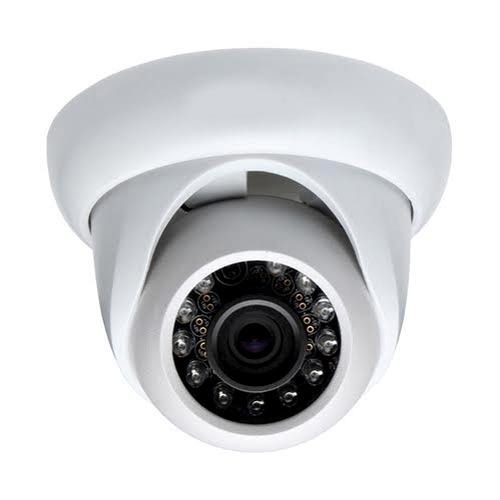 We also carry hundreds of video surveillance accessories such as DVRs, cables, connectors, tools, test monitors, and more. Video surveillance systems that support with remote Internet viewing is our specialty. Most of our surveillance systems include DVR viewer software for Mac and Windows PCs, as well as mobile camera viewer apps for iPhone, iPad, and Android devices. We sell many complete systems that are pre-configured and easy to install. The team at DigiTechX Solution to provide the best customer service & technical support in the industry. We also provide the most competitive pricing possible on our products. Our company has set benchmark in offering Bullet CCTV Camera to the clients. Bullet CCTV Camera is extremely appreciated among clients for excellent resolution, energy efficiency, high performance, excellent finish standards and easy installation. Provided range is available in low market range suitable to the customers. This product requires less maintenance. 1/3" SONY SUPER HAD CCD. 1/4" Sony Super Had CCD. Easy Installation With User-friendly Designs. Special functions : OSD, Flicker less, D-WDR/BLC, DNR, Mirror, Privacy mask & Motion detection. Adaptive tone curve reproduction – automatically corrects backlight & dark zone and reproduces natural & clear image.